The Proco Rat2 is the classic distortion pedal in the Pro Co RAT family. It has a unique tone structure that other effect devices are measured against. The beauty of the RAT 2 lies in its versatility. Used as a primary distortion, it excels at arena rock rhythm tones and soaring leads. Do you have a powerful amp with too much headroom for the gig? The RAT 2 nails that sweet spot where a tube amp goes from sparkly clean to warm overdrive. Maybe you already love your amp’s distortion. Use the RAT 2 as a boost for solos and get the extra kick you need. 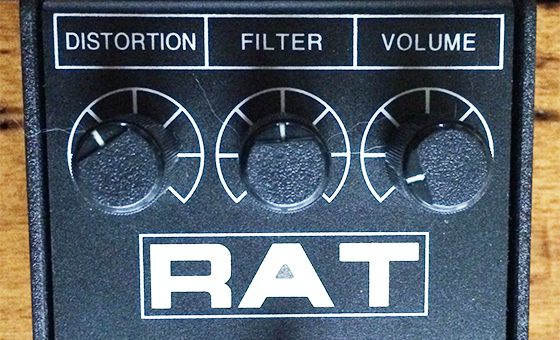 The Proco RAT2 features the legendary RAT Filter control. Turn it to the right to roll off brittle high-end frequencies. Having trouble cutting through the mix? Turn the Filter down and allow the natural brightness of your instrument to shine through. The Distortion and Volume controls dial in the perfect amount of gain while keeping the level consistent with your clean tone. While there’s no mistaking the legendary RAT tone when the pedal is on, true-bypass switching ensures that when the pedal is off, there is no coloration of your sound. ProCo Sound also makes several other highly regarded effects including the popular TurboRAT, Deucetone RAT, and SOLO. 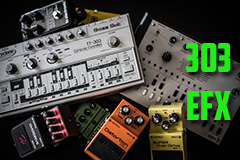 Each effect has its own unique tone structure.